Playtri has over 15 years of Bike Fit experience. The correct bike fit can make a huge difference in comfort, speed and power. 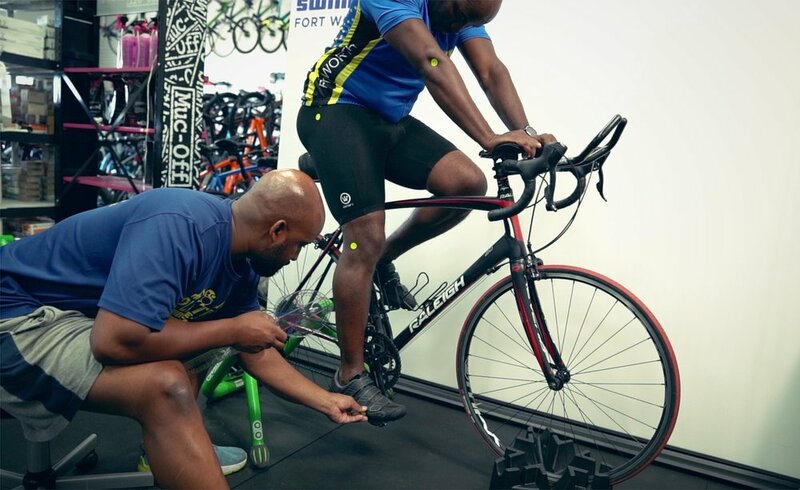 Whether you just want to enjoy your ride or are trying to maximize your performance, a bike fit is a must for any cyclist. Our basic fit evaluation includes saddle height and fore/aft adjustments. Contact jason@playtri.com for more information or to schedule a bike fitting. This is a complete fit, including physical assessment, that includes adjustment/installation of cleats (and shims, if needed), and adjustment of saddle height, saddle fore/aft and cockpit. Contact jason@playtri.com for more information or to schedule a bike fitting. Combine Playtri's 15 plus years with the data from computerized motion capture analysis. Motion capture cameras record a rider's position as they pedal on the bike in order to capture the full range of bio-mechanical movement. 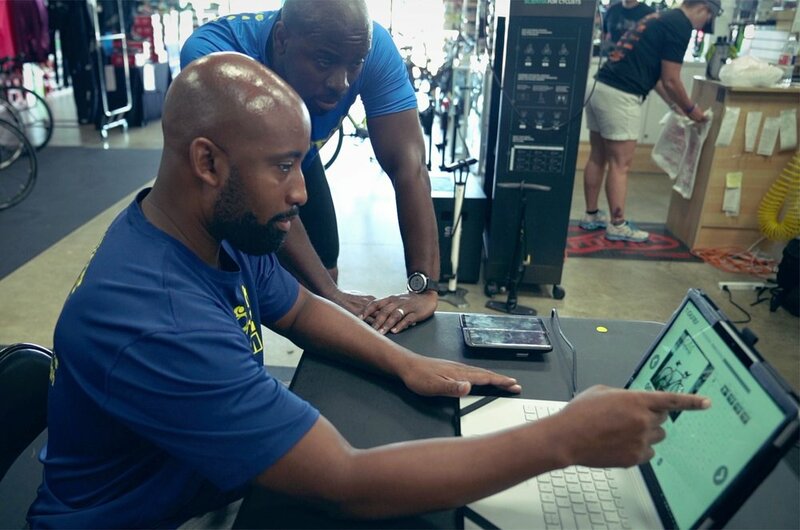 Rather than adjust a fit with static positions, Retul and Guru allow Playtri's expert bike fitters to see how you and the bike work together as a system. This complete picture of both athlete and machine makes for a bike fit that is optimal for performance, efficiency, injury prevention and comfort.